Active Energy water wheel was launched at Three Mills heritage site on the 13th of May. Jane Caldwell, Chief Executive at Age UK East London made the opening address followed by artist Loraine Leeson and Toby Borland, engineer, who outlined the trajectory of the project and its importance of community input. 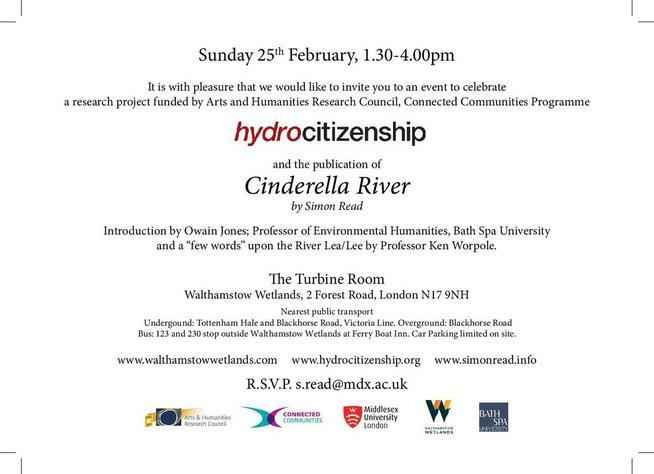 Professor Graeme Evans, Middlesex University described the involvement of the project in Hydrocitizenship. 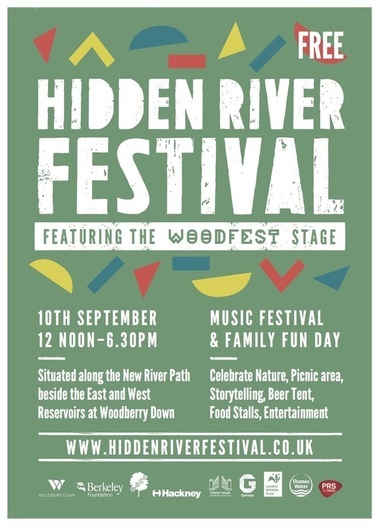 Firs Farm Wetlands is transformed into a vibrant summer community festival with fun, food, music and activities on Saturday, 16 July 2016. The festival was great success thanks to organisers and volunteers. The range of activities and stalls kept the festival ground busy all day long. 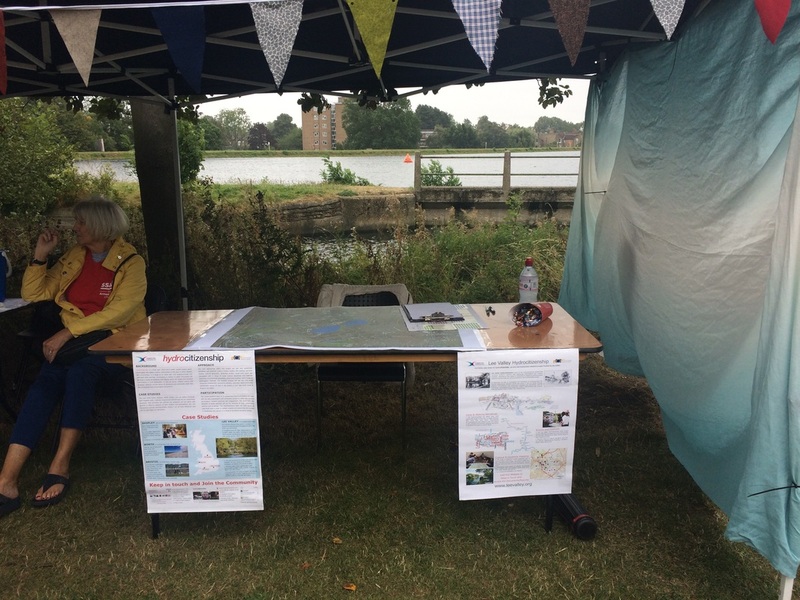 Lee Valley-Hydrocitizenship team hosted a cultural mapping stall during the festival. The festival was great success thanks to organisers and volunteers. The range of activities and stalls kept the festival ground busy all day long. Lee Valley-Hydrocitizenship team hosted a cultural mapping stall during the festival. 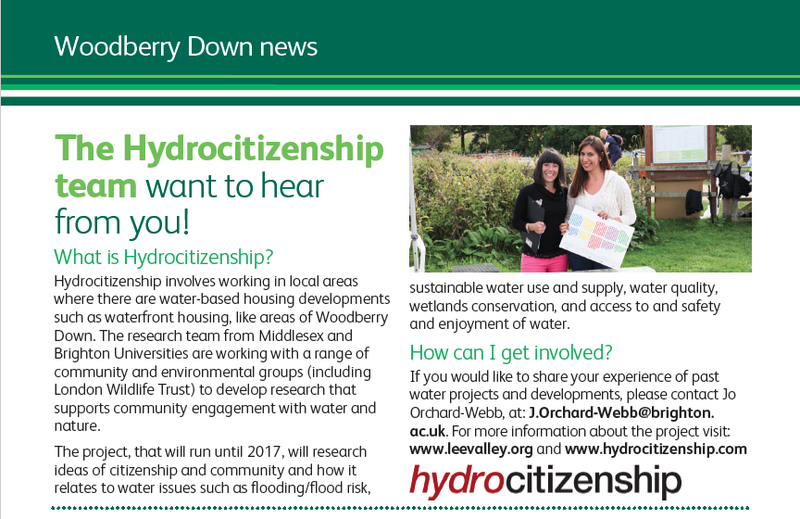 Hydrocitizenship stall was one of the liveliest areas of festival along with London Wildlife Trust, Love the Lea/Thames 21 and Thames Water. 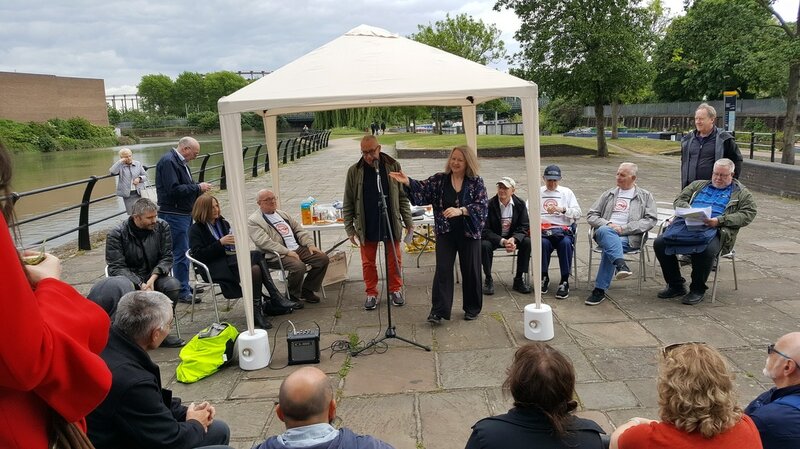 More than 20 people took part in the cultural mapping study and shared their experiences and ideas about living around Firs Farm. Thanks to Luciana Alves (PhD student at the Department of Natural Science, Middlesex University) for her help during day. 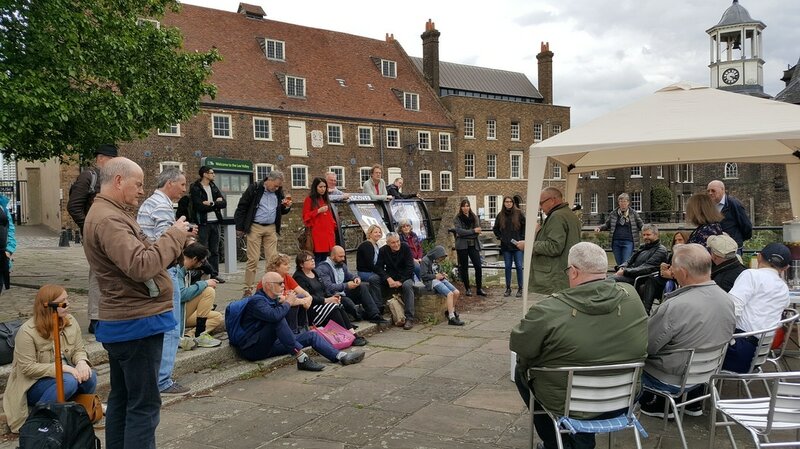 To celebrate National Mills Weekend, Hydrocitizenship team was outside the House Mill, Three Mills during National Mills Weekend (14-15 May 2016) to get people's experiences and ideas about living, working and relaxing near the Three Mills and River Lee. 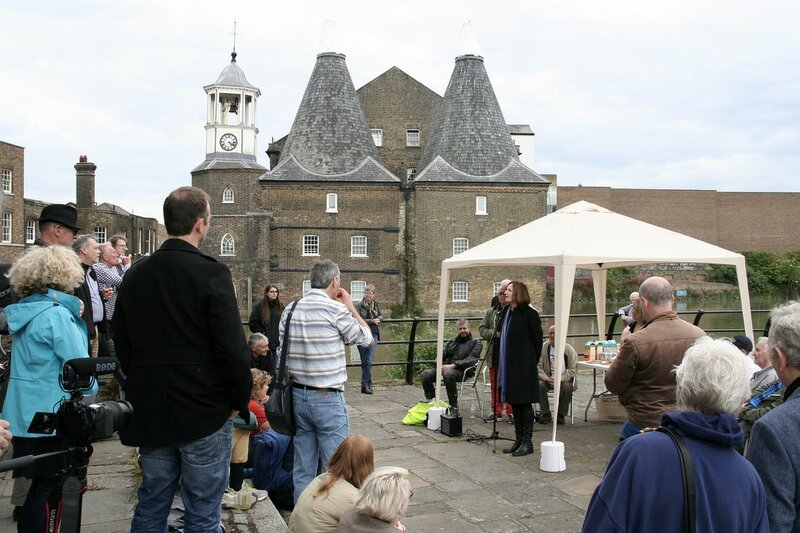 Also, the Geezers worked with artist Loraine Leeson and engineer Toby Borland in front of House Mill at the Three Mills heritage site to construct a stream wheel for later installation in the Lower Lea. The wheel activated by the outflow of water from the mill and will power an aerator to help oxygenate the water and counteract the effects of pollution on the river’s fish and wildlife. 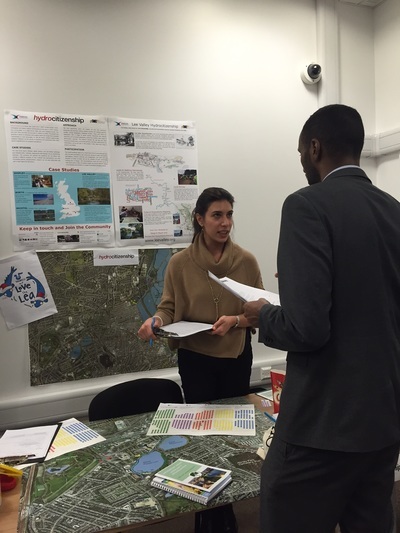 ​As part of our on-going collaboration with the London Wildlife Trust (LWT) at Walthamstow Wetlands (http://www.walthamstow-wetlands.org.uk/) the Hydrocitizenship team helped out at their Volunteer Roadshow (12th March 2016). 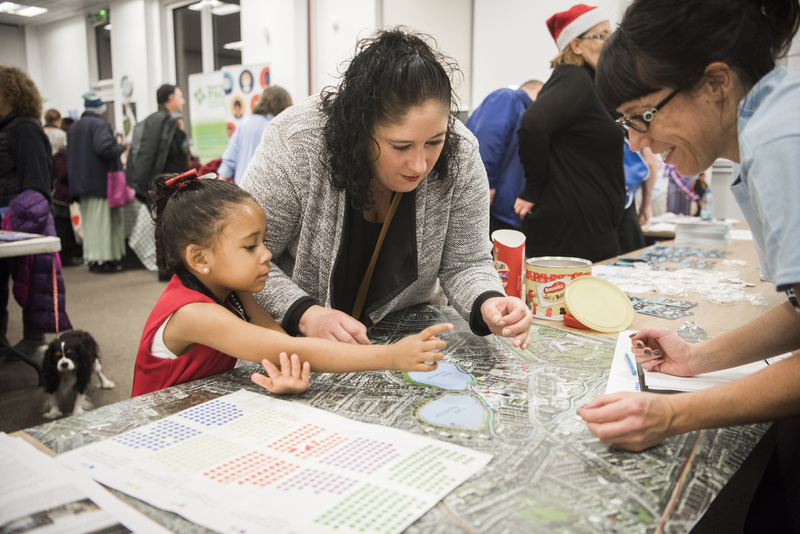 ​The Redmond Community Centre, Woodberry Down, hosted the WinterFest on Wednesday, 9 December between 4-8pm which included free buffet, music, exhibitions and stalls of different organisations working/interested in the area. 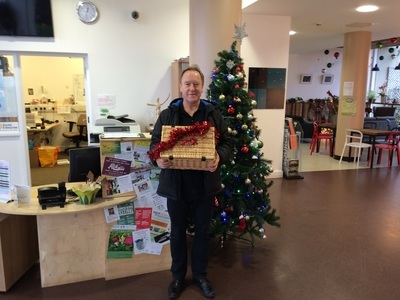 The festival run by the Woodberry Down Community Organisation (WDCO), supported by Heritage Lottery funding and attracted over 400 local residents and community members in the neighbourhood. 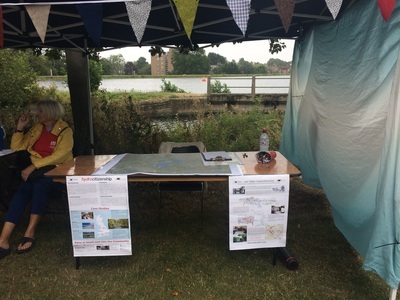 Lee Valley-Hydrocitizenship team hosted a cultural mapping stall during the festival. 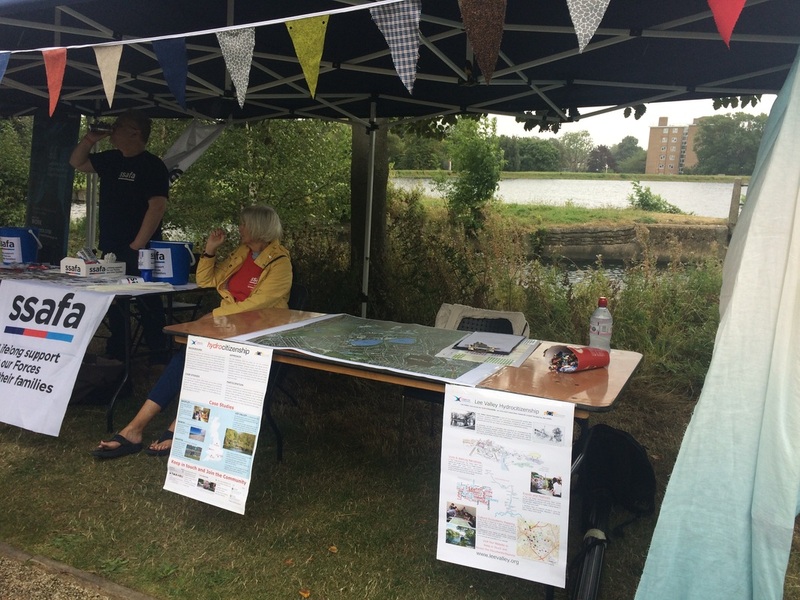 Love the Lea and Thames 21 celebrated the wonderful rivers of the Lea Valley on Sunday, 23rd of August and the Lee Valley- Hydrocitizenship team joined the festival with a cultural mapping stall. 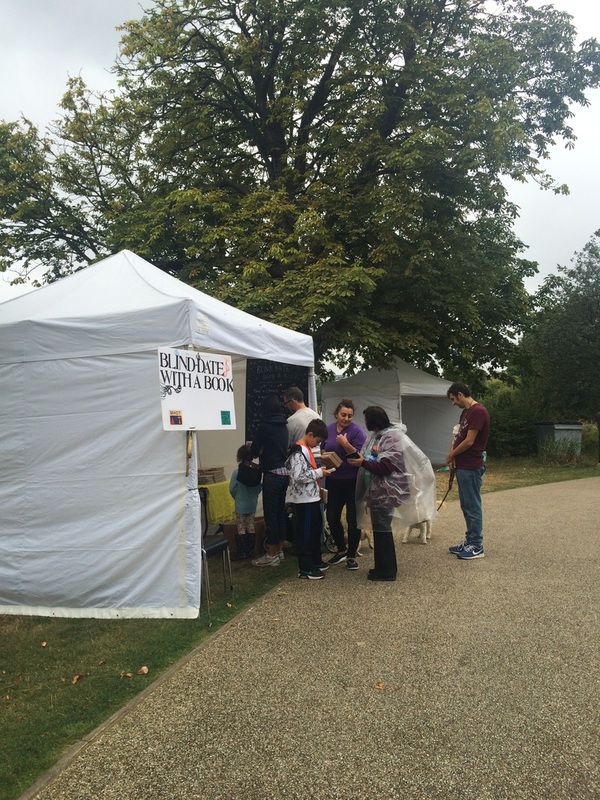 Also, volunteers of Hydrocitizenship project ran a visitor survey at the festival site. 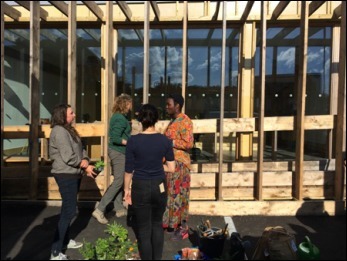 Hub 67 was a focal point for residents, hosting events, classes and community groups in Hackney Wick. 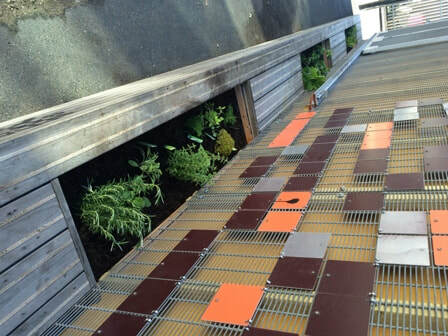 Groundwork community team and local residents helped to create small hubs of planting around the building followed by a lovely tea break and delicious cakes. 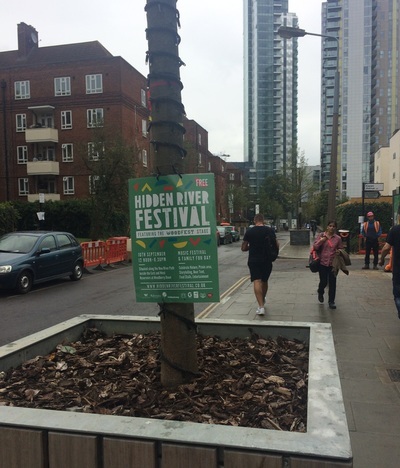 Hydrocitizenship team engaged in planting in/around the hub and engaged with the local community during the event. At the start of the ride, Ozlem introduced the project to the cyclists and asked them to pay more attention to water during their ride on the day. Ozlem later meet them at the lunch break at the Thames Barrier Park and asked them to fill in a short survey about their reflections of this cycle ride (significant part of the cycle route was either by the canal or River Lee) and the importance of water to them as an urban amenity. On a small note, I must say reaching the Thames Barrier Park via public transport was more complicated then cycling. 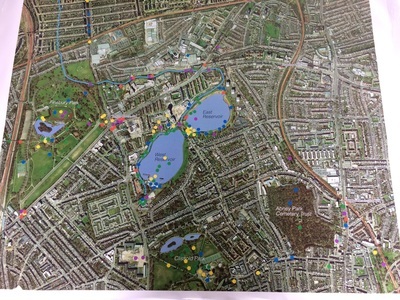 A pilot cultural mapping study was undertaken on 13 June at the Cre8 Lifestyle Centre (formerly the Hackney Wick Community Centre) following the Hackney Wick and Fish Island Cultural Interest Group (CIG) monthly meeting. 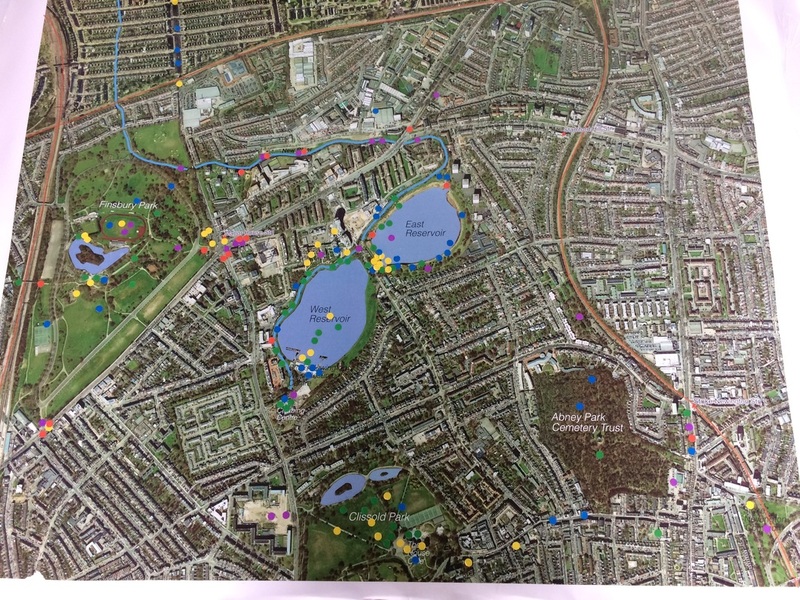 The research team introduced the Cultural Ecosystem Mapping study at the May CIG meeting and invited participants to stay after the 13 June meeting for the mapping study. 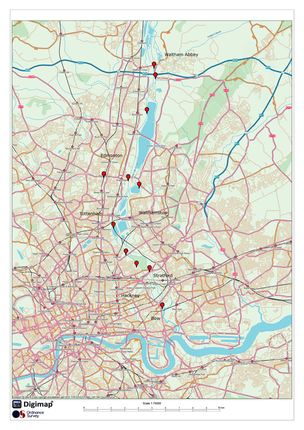 In total, 7 participants joined the Cultural Ecosystem Mapping pilot study and the meeting last around an hour. ​Participants were asked to identify recreational uses, cultural uses and problem areas. A set of socio-demographic questions was also asked regarding gender, age, home postcode and familiarity with the study area. 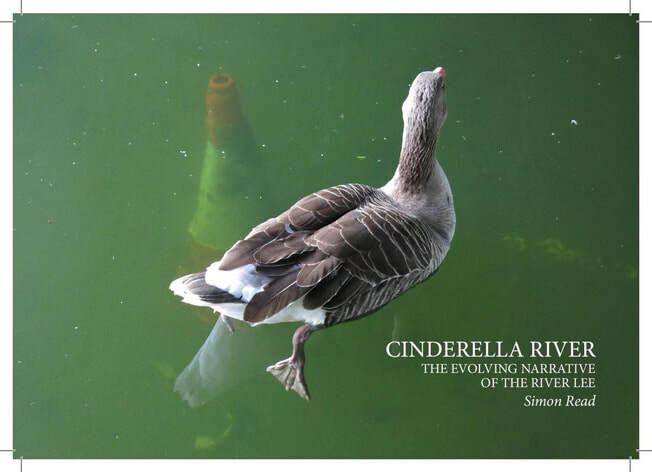 The CIG was founded in 2009 to facilitate a permanent, sustainable, creative community in Hackney Wick and Fish Island and particularly to advance the arts and culture. 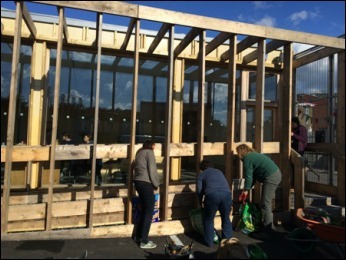 The group meets every 2nd Friday of the month at a rotating venue in Hackney Wick or Fish Island. 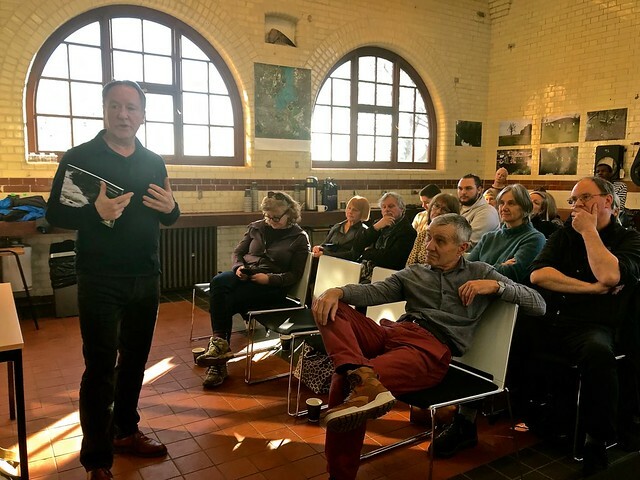 The meetings are normally attended by 30-40 people, including representatives of arts and cultural and community organisations, schools and other residents (including local ward councillors). 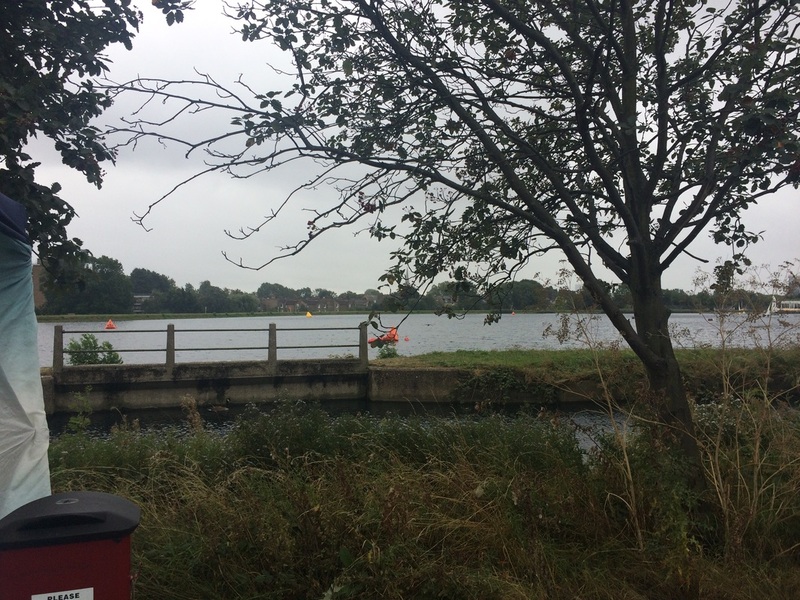 Hydrocitizenship team attended these meetings from 2014 to 2017.